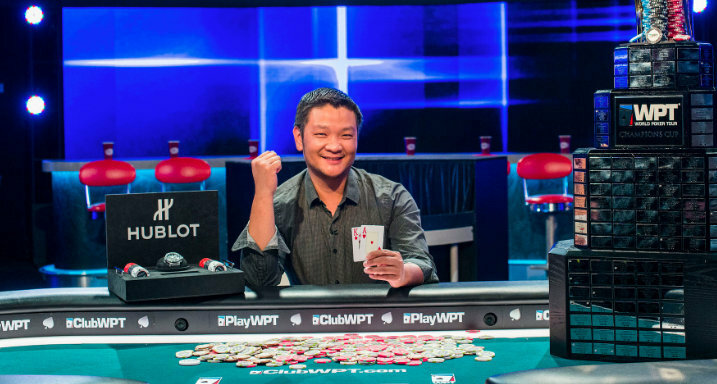 Guo Liang Chen has won the 2017 World Poker Tour Borgata Poker Open $3,500 buy-in no-limit hold’em main event, outlasting a field of 1,132 total entries to capture the title and the $789,058 first-place prize. This was by far the largest score of his life, with his biggest previous cash being for only $13,858. Chen came into the final day of this event in fifth chip position with six players remaining. The only player who began the day with fewer chips than Chen was none other than two-time World Series of Poker bracelet winner Cliff Josephy. The former online poker superstar and 2016 WSOP main event third-place finisher was able to outlast one player at the final table, but was eliminated in fifth place when his A 3 failed to stand up against the Q J of Gregory Weber. Jospehy earned $199,294 for his deep run in this event. Weber, a 27-year-old firefighter from New Jersey, took a chip lead into four-handed play. He knocked out Matthew Parry in fourth place ($240,965) to further his advantage, but Chen busted Jia Liu in third ($288,071) to close the gap somewhat. Heading into heads-up play Weber held just shy of a 2-to-1 chip advantage. Chen was able to find an early double up to overtake the lead and from there was able to keep up the pressure until Weber was left on a short stack. Weber got his last chips in with the K 9 , moving all-in from the button for around ten big blinds. Chen called with the A K and the board ran out 7 5 4 3 Q . Chen’s ace-high was good enough to secure him the pot and the title, sending Weber to the rail with $471,059.